If you have forgotten your password we have multiple ways to access your account. The first method is to request a password request to your email. To do this you must have an email address tied to your account. If you do not have an email tied to your account you may access it using a receipt or ticket. Please whitelist emails from yalecleaners.com to ensure you receive it or check your spam folder if you can't find it. 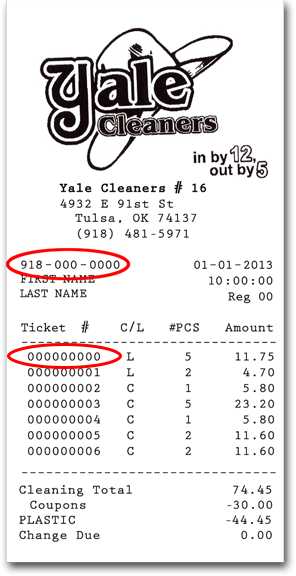 Login to our online system using the information found on your receipt. Login to our online system using the information found on your recent ticket.